Belfast Castle is set on the slopes of Cavehill Country Park in Belfast in a prominent position 400 feet (120 m) above sea level. Its location provides unobstructed views of the city of Belfast and Belfast Lough. The original Belfast Castle, built in the late 12th century by the Normans, was located in the town itself, but was burned down in 1708. 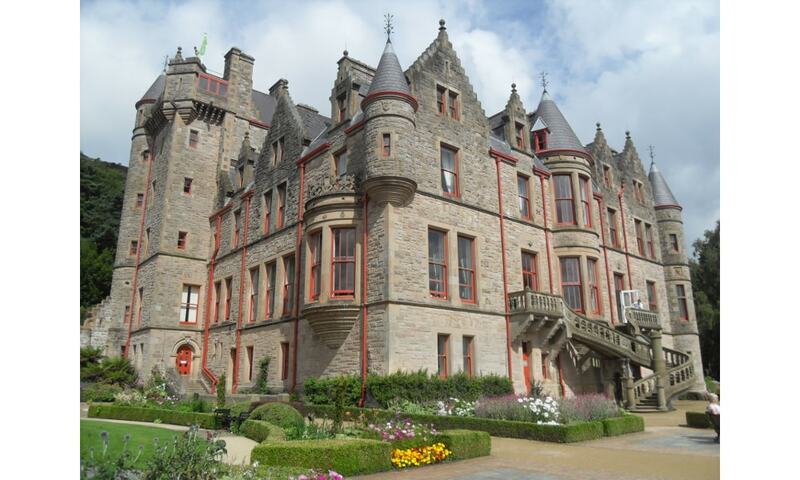 Rather than rebuild on the original site, the Chichesters decided to build a new residence in the city's suburbs, today's Belfast Castle emerging as a result. The building that stands today was built from 1811-70 by The 3rd Marquess of Donegall.